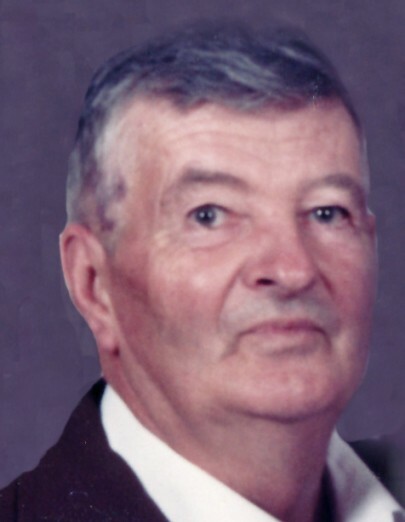 Obituary for Luther "Leo" Mullenax | Obaugh Funeral Home, Inc.
Luther “Leo” Mullenax, 90, of Franklin, WV passed away Thursday, November 15, 2018 at UVA Medical Center in Charlottesville, VA. He was born June 7, 1928 in the Chestnut Woods area of Pendleton County, at Cave, WV, a son to the late Viola Jane (Bible) and Luther Lee Mullenax. On August 28, 1948 he married Gladys Viola Puffenbarger, who preceded him in death on June 25, 2014. Leo served as a Pendleton County Forest Fire Warden since the 1950s. In addition to raising livestock, he was in the timber business since he was a young man. Being an avid outdoorsman and an expert marksman he provided game and fish for the family table. Leo took great pride in his Norwegian Elkhound dogs and in the family log house in Chestnut Woods, where he liked to stay as often as he could. Above all, he will be remembered as a great husband, father and grandfather. In addition to his parents and his wife he was predeceased by a brother George Mullenax. Leo is survived by his daughter, Viola Jean “Jeanie” Riggleman and husband, Glenn; son William Kenneth “Bill” Mullenax; grandson Eric William Mullenax and wife, Jessica, all of Franklin; as well as a number of nieces, nephews, cousins and many friends. A funeral will be held 11 a.m., Wednesday, November 21, 2018 at Wayside Baptist Church with the Rev. Andre Crummett and Pastor Tim Johnson officiating. Interment will follow in Blue Grass Cemetery. The family will receive friends one hour prior to the service at the church. Casual dress is okay for everyone. Pallbearers will be Kent Simmons, Brad Simmons, Lynn Nelson, Roger Arbogast, Alan Puffenbarger, Rick Wagoner, Doug Shriver, David Lightner and Herman Puffenbarger. In lieu of flowers memorials may be made to Leo Mullenax Memorial Fund c/o Blue Grass Valley Bank, P.O. Box 516, Monterey Va. 24465 or to Pendleton County Emergency Rescue, P.O. Box 727, Franklin, WV 26807.